Going to Great Lengths! 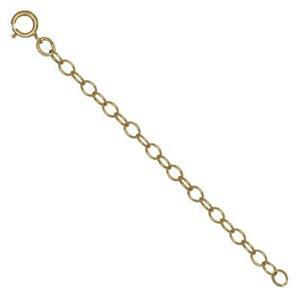 You’ll rave about the lengths we’re going to with this 3 inch 3.1mm Yellow Gold Filled Cable Chain extender with Spring Ring. Not sure what chain lengths to offer your customers? – now you can let them choose. Simply attach the jump ring of this extender into the ring of your finished chain – and the rest is – as they say – history.